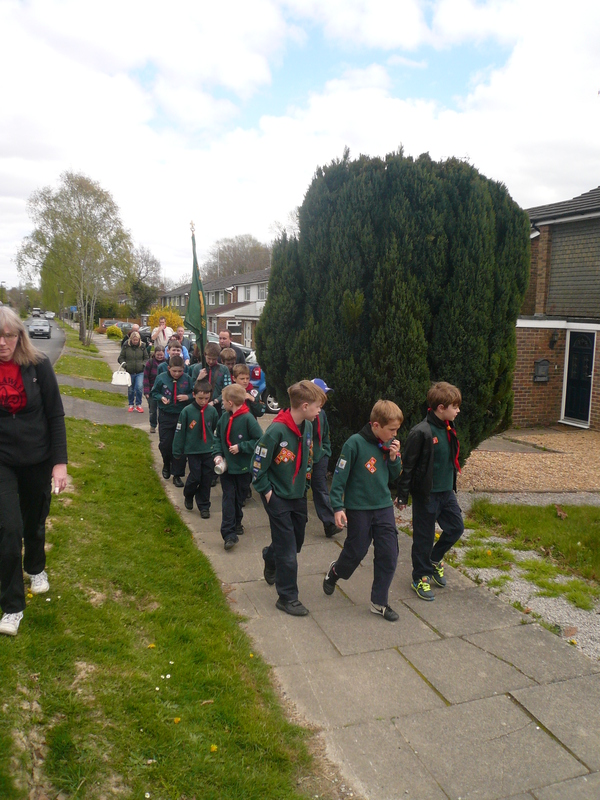 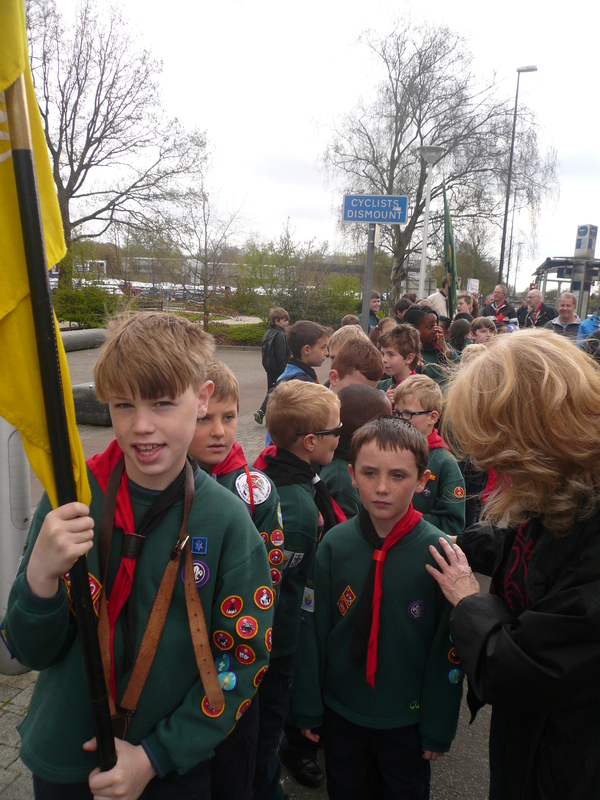 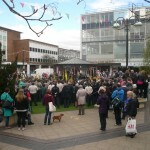 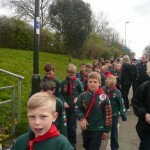 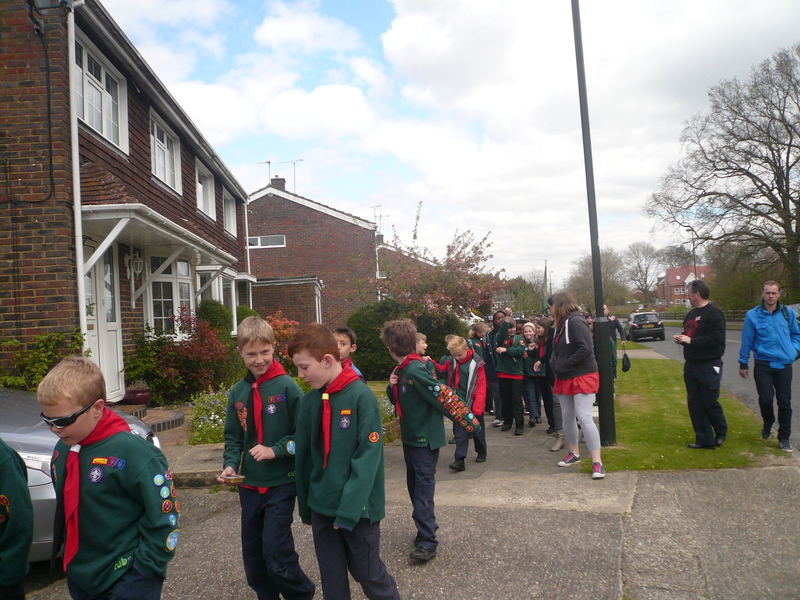 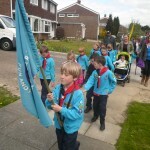 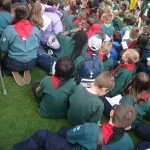 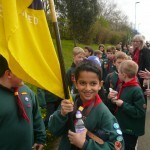 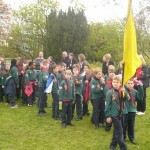 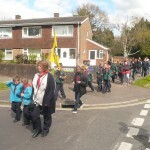 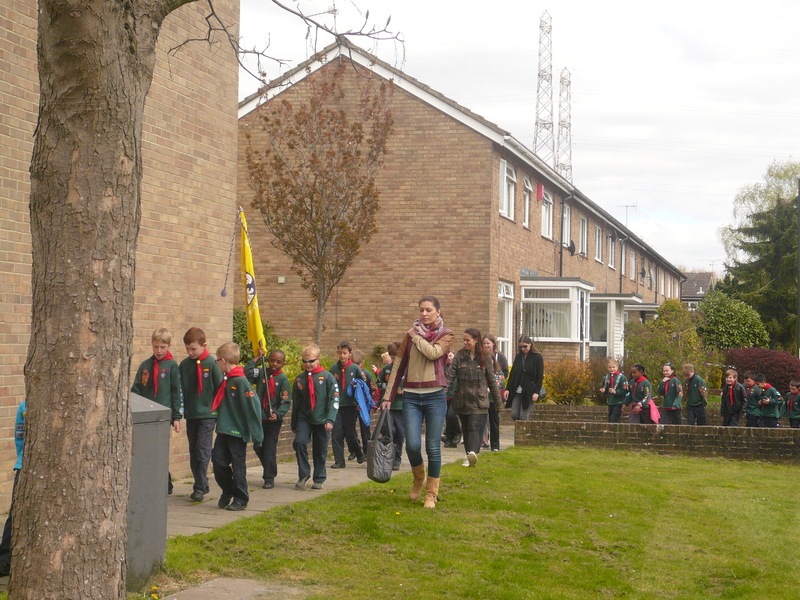 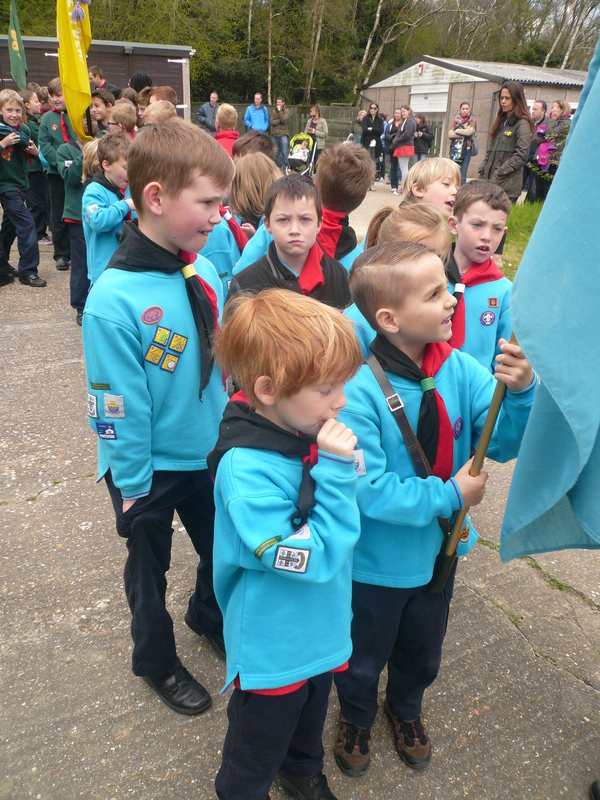 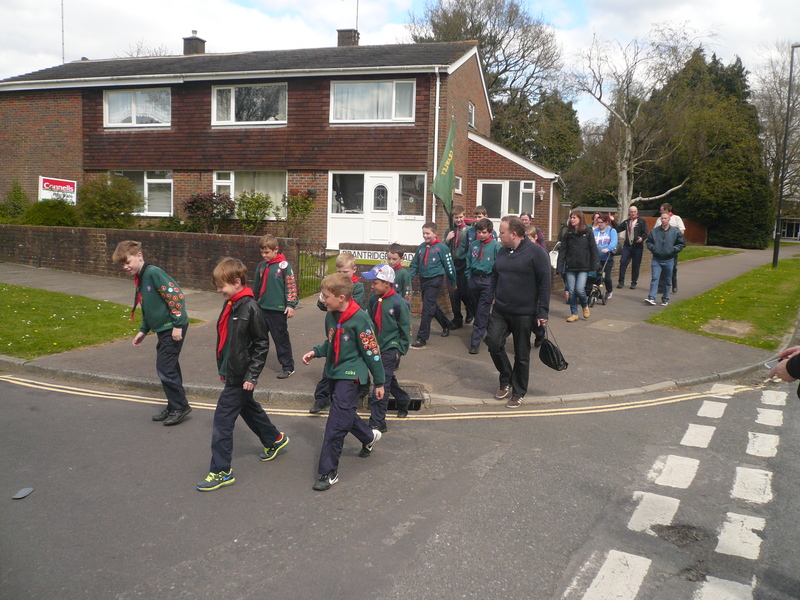 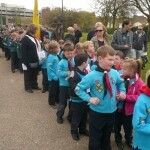 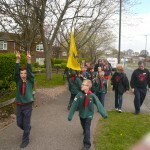 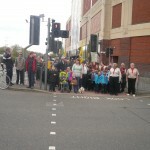 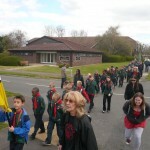 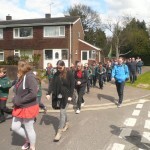 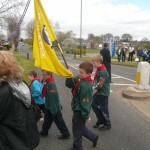 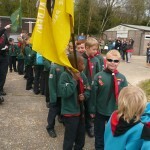 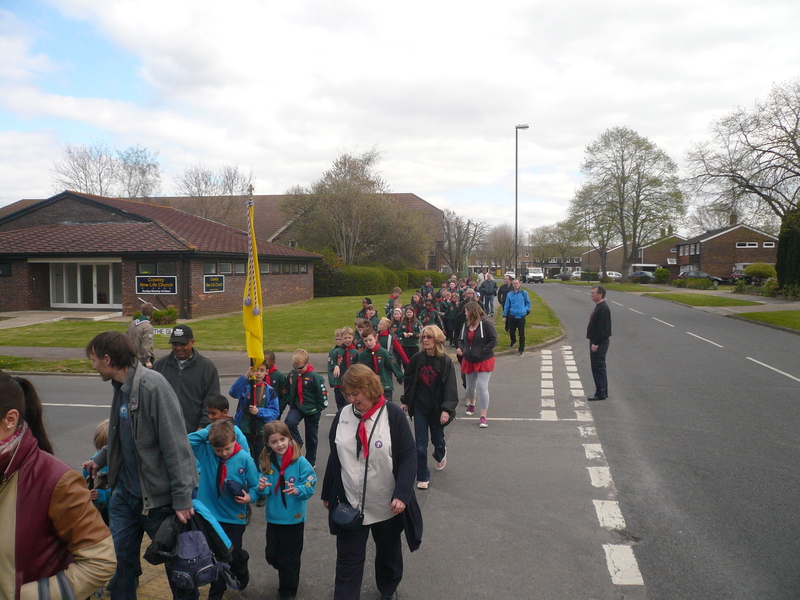 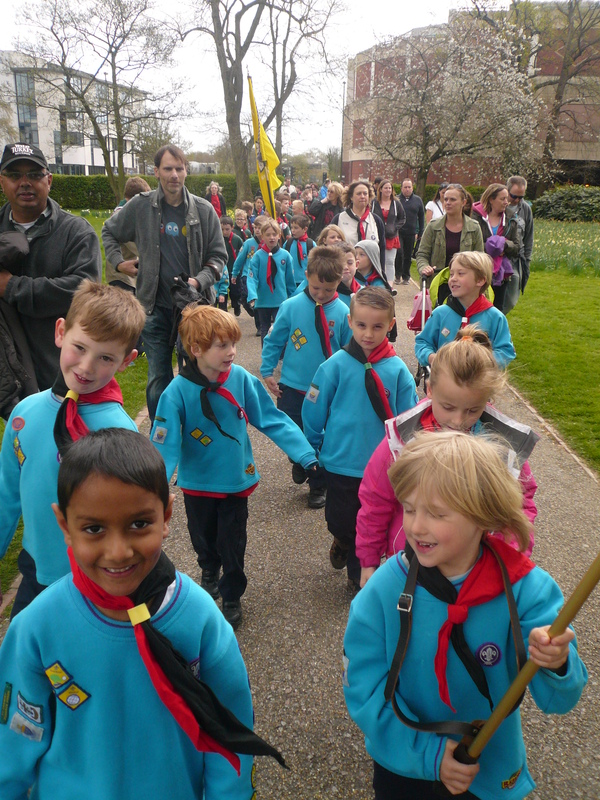 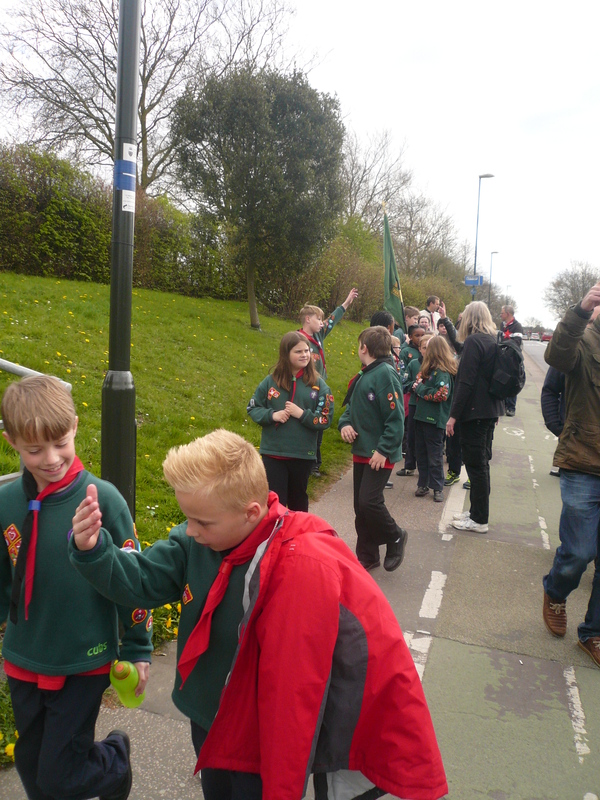 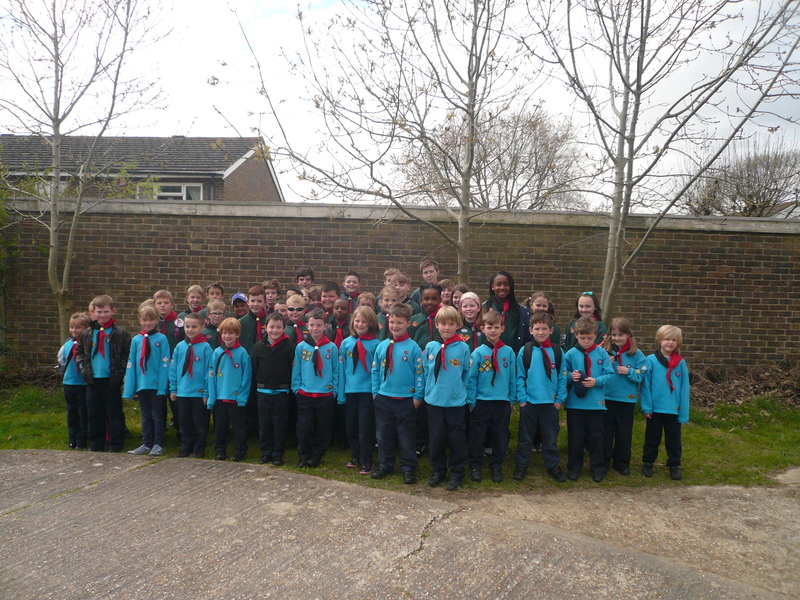 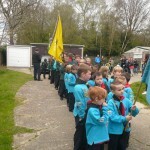 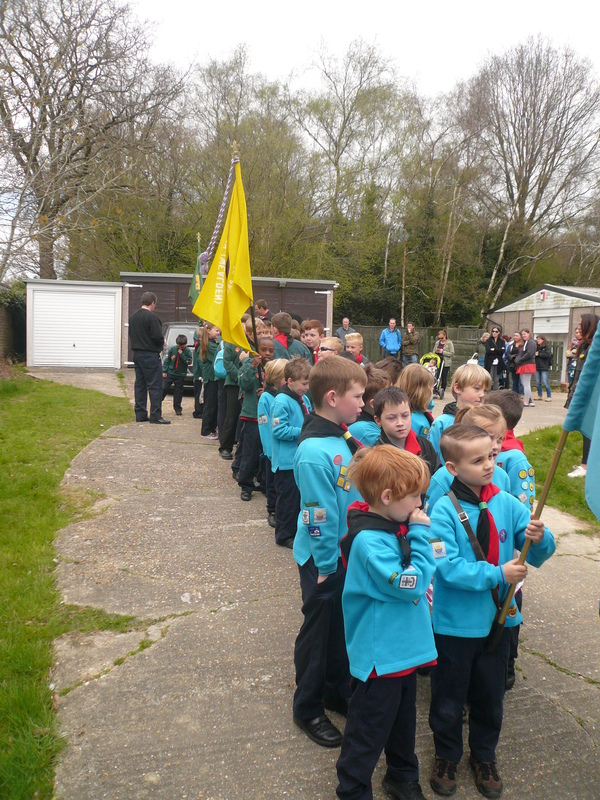 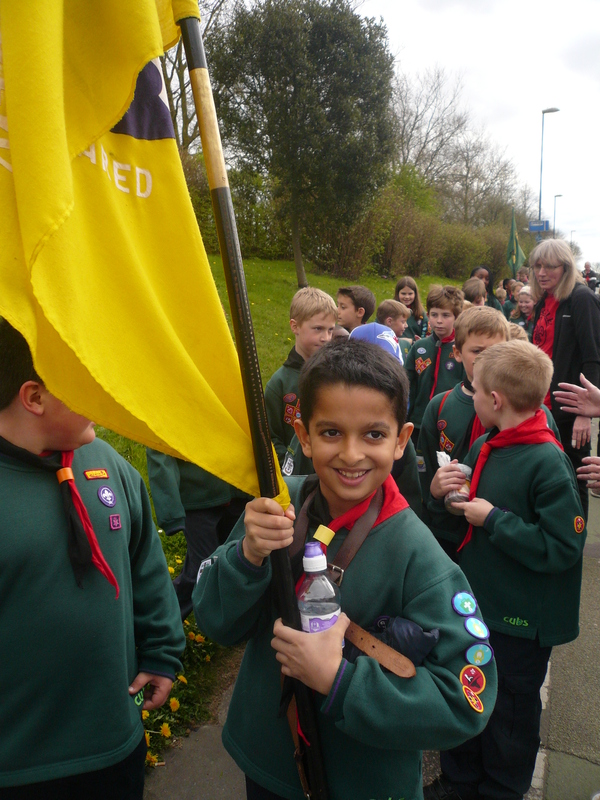 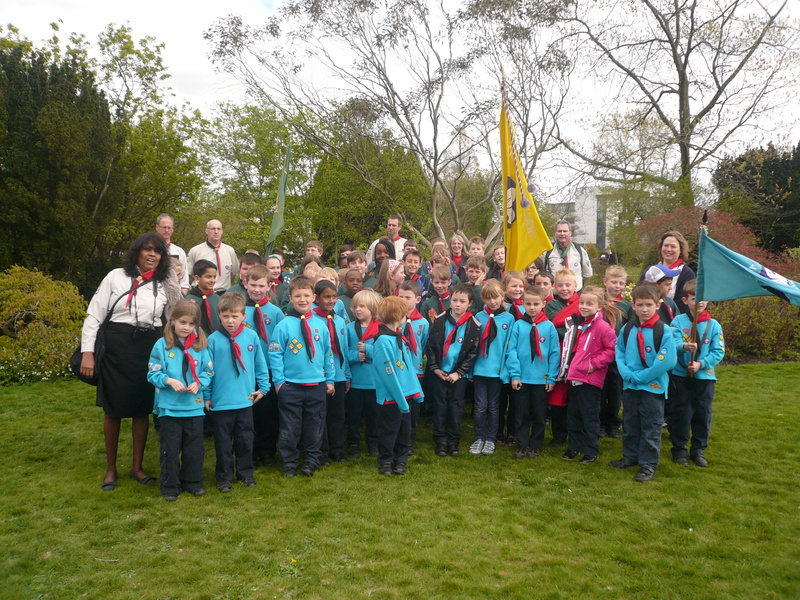 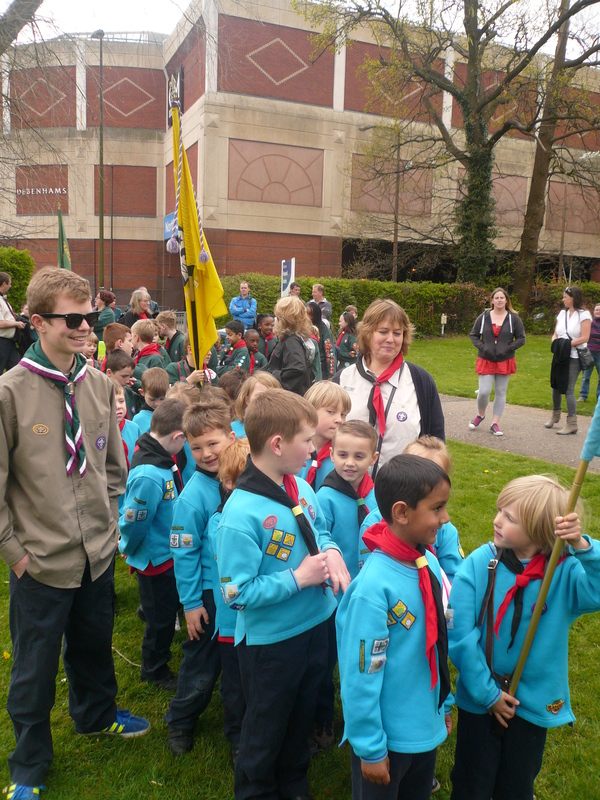 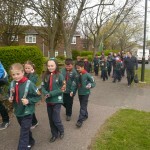 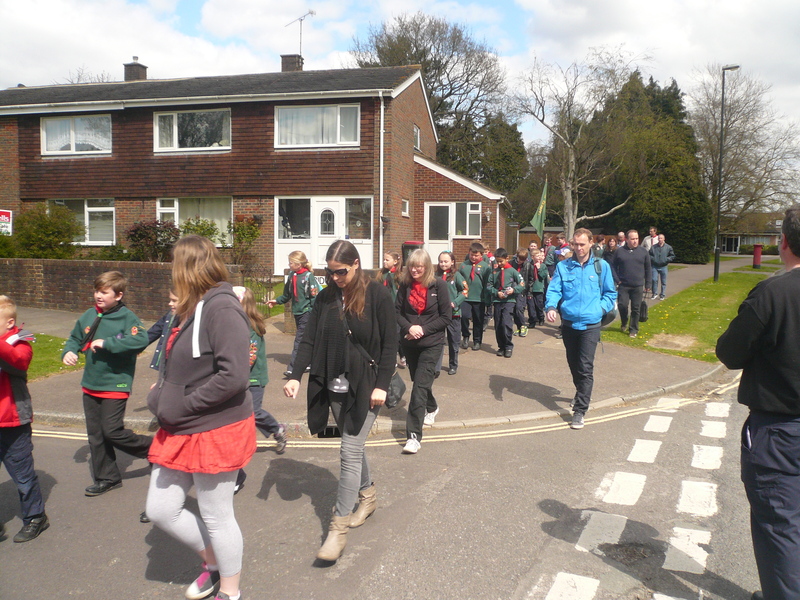 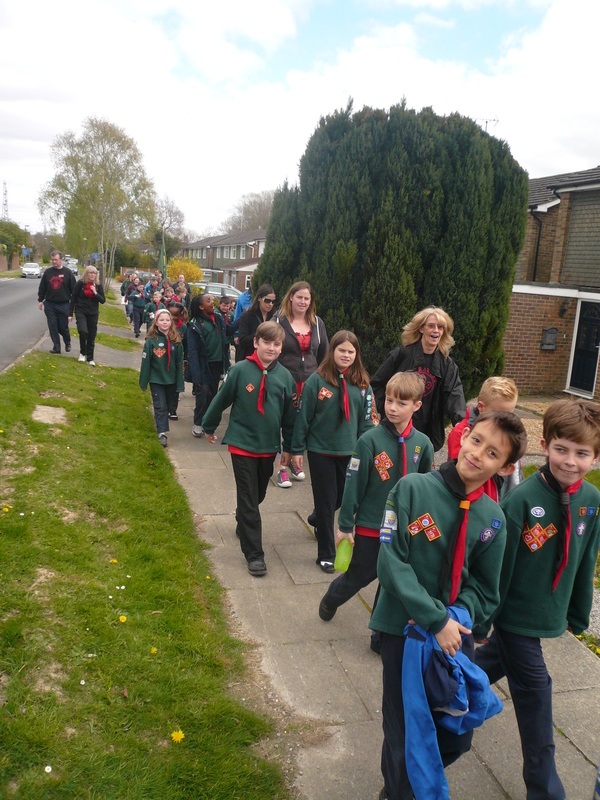 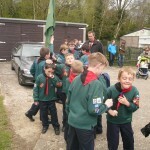 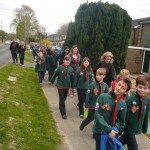 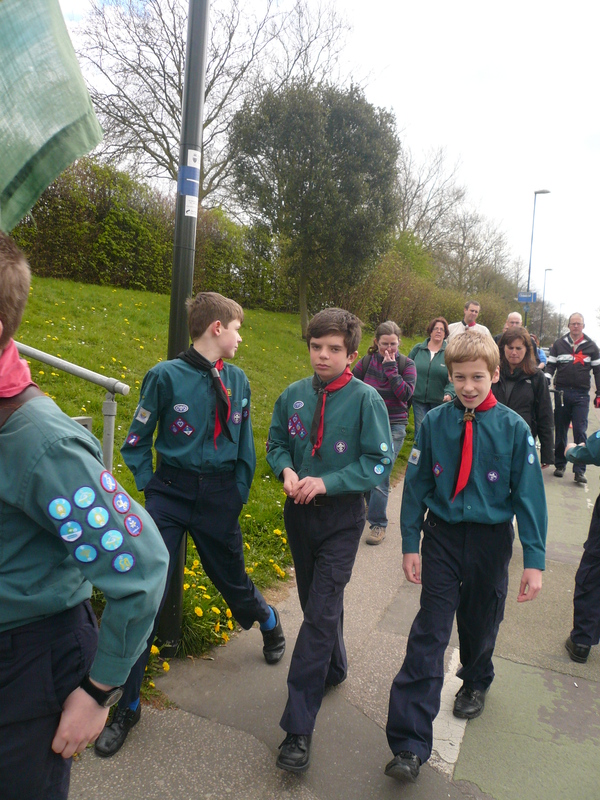 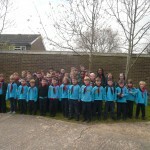 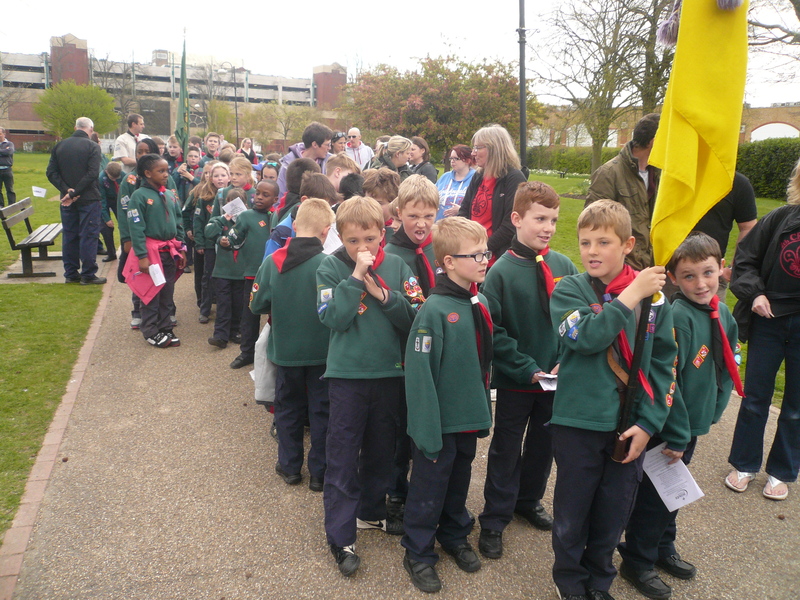 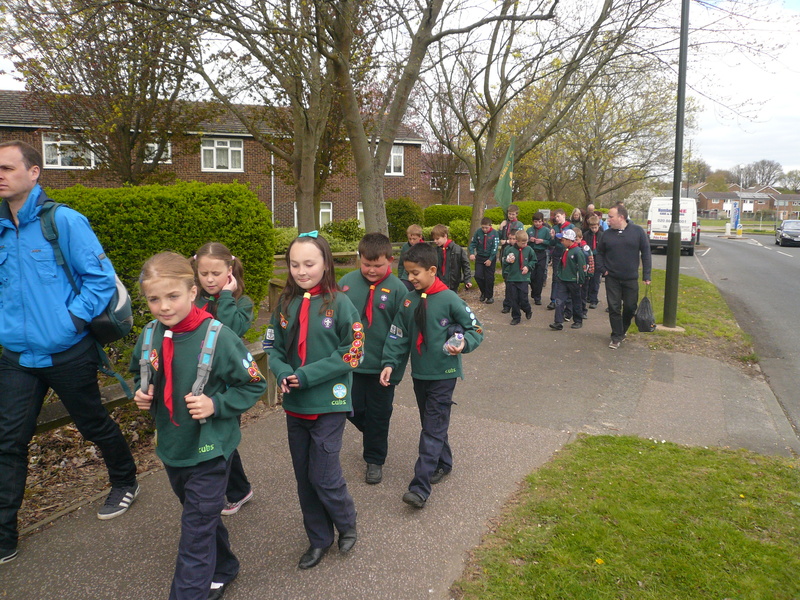 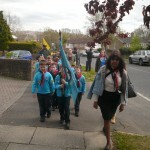 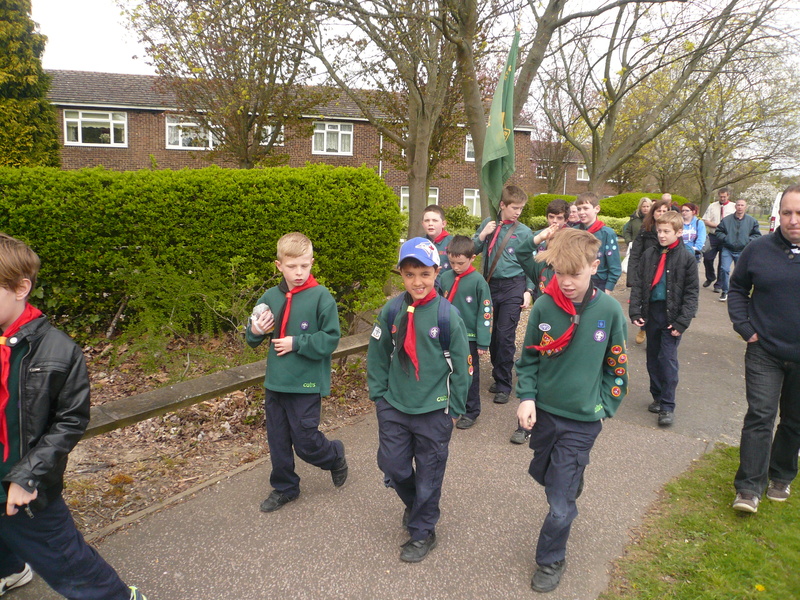 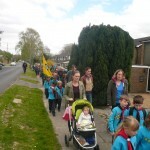 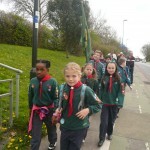 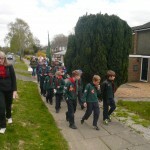 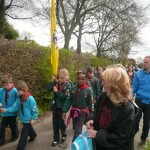 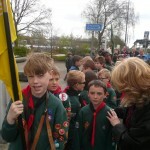 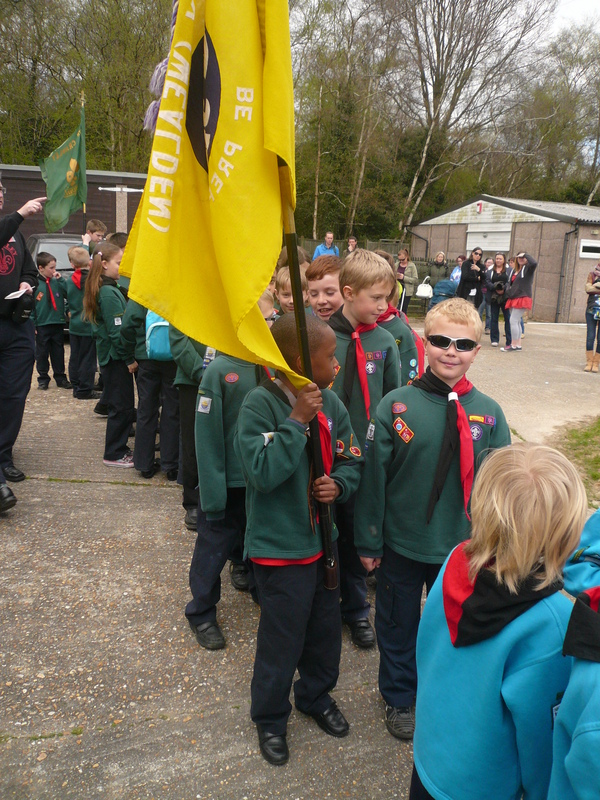 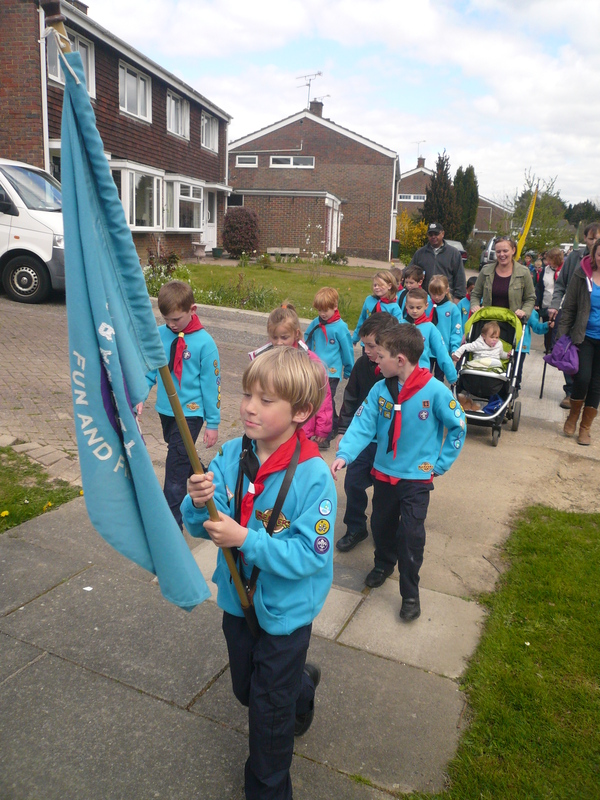 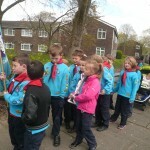 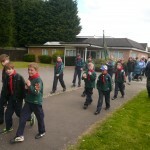 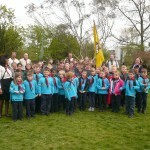 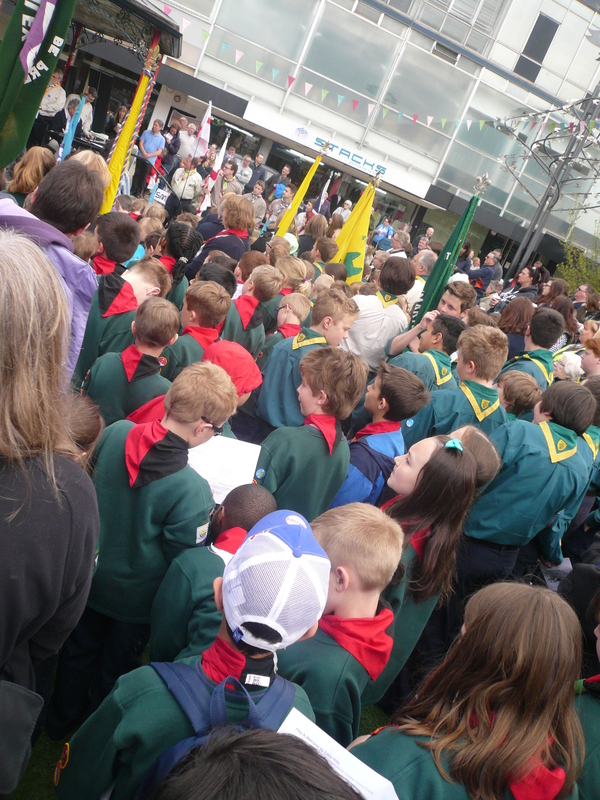 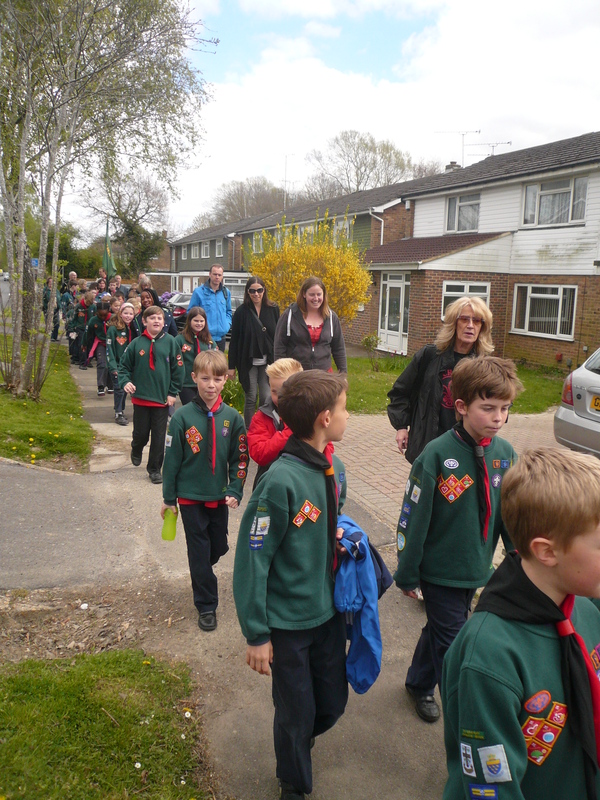 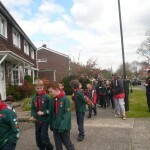 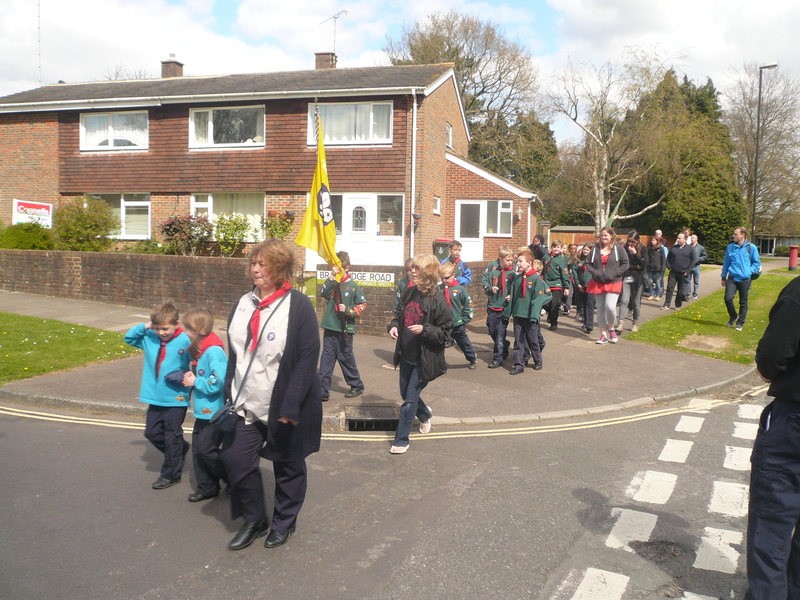 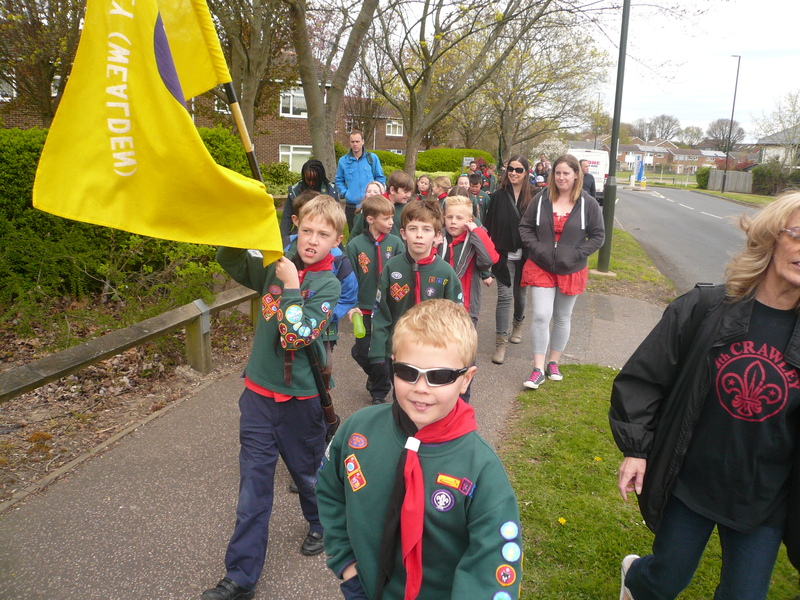 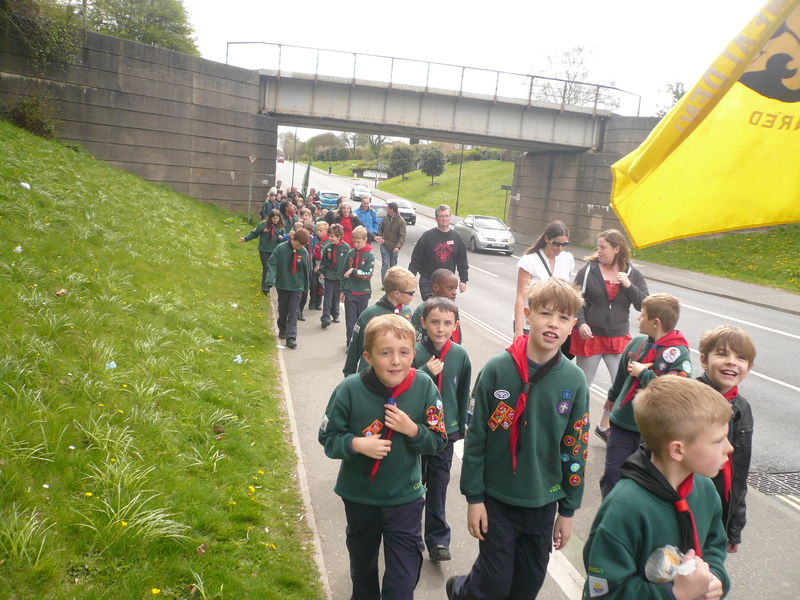 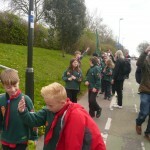 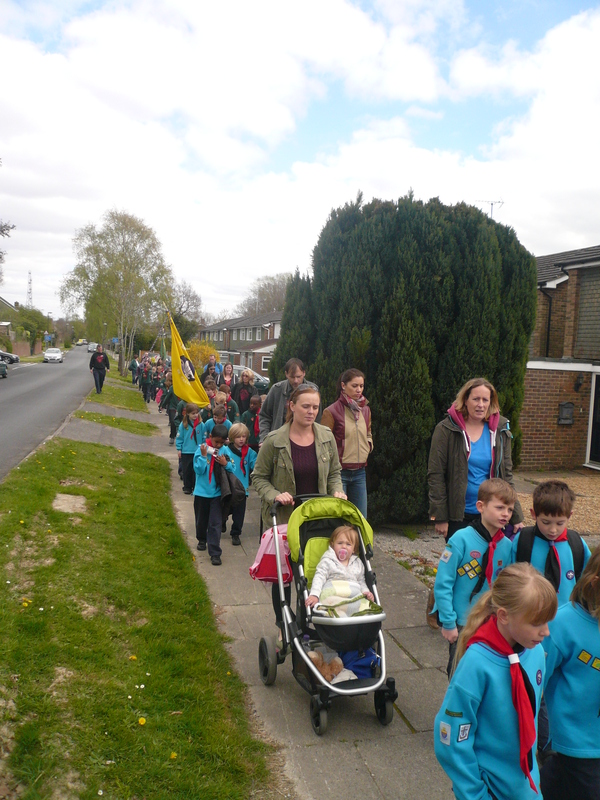 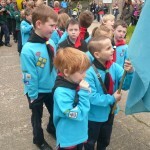 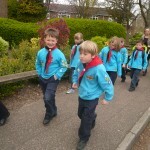 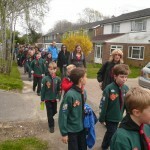 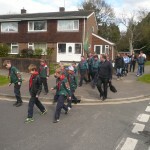 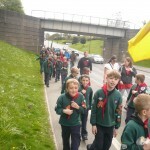 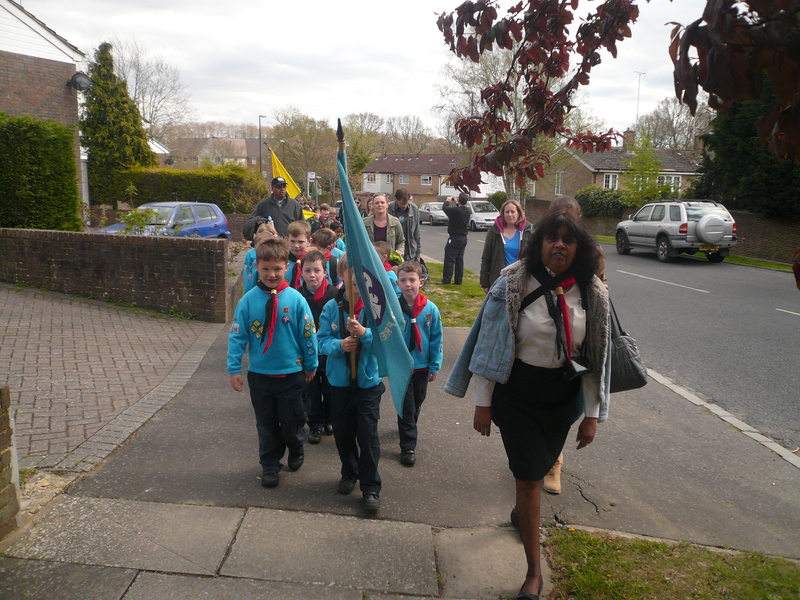 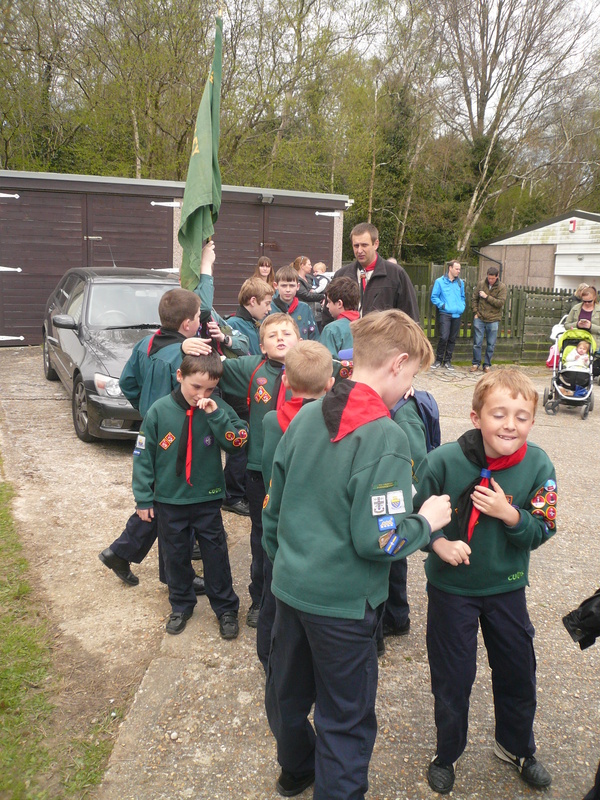 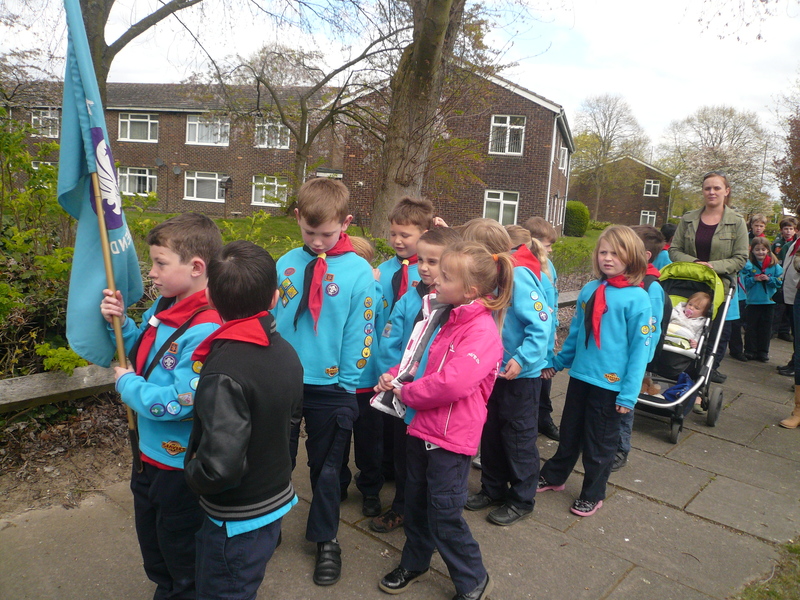 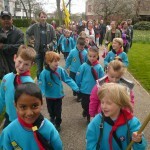 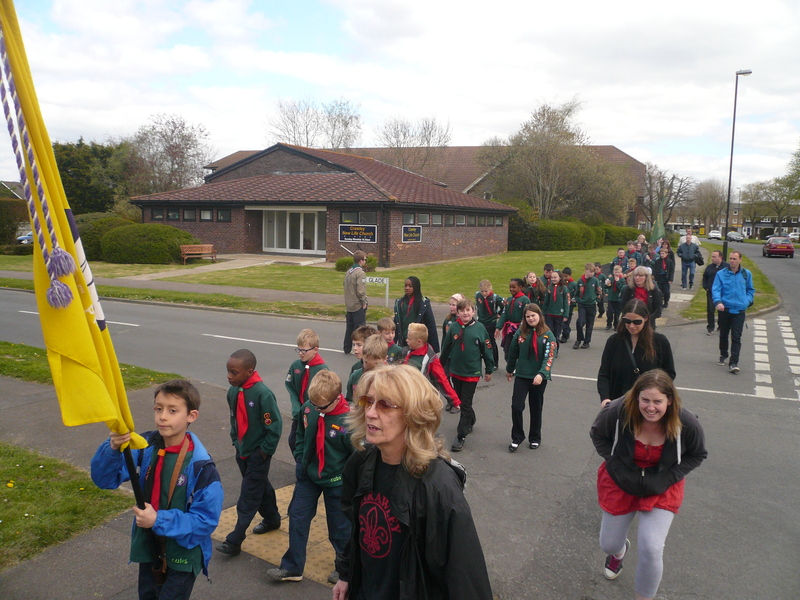 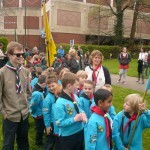 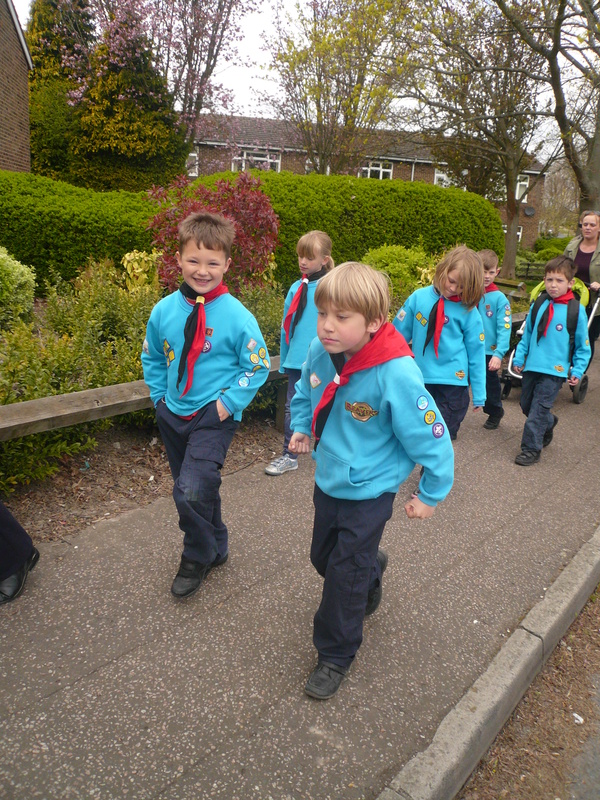 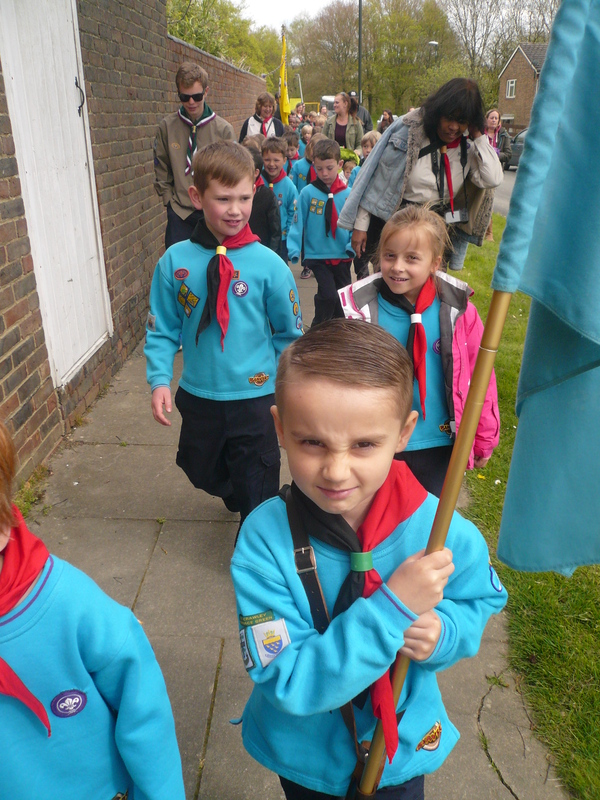 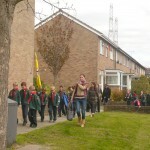 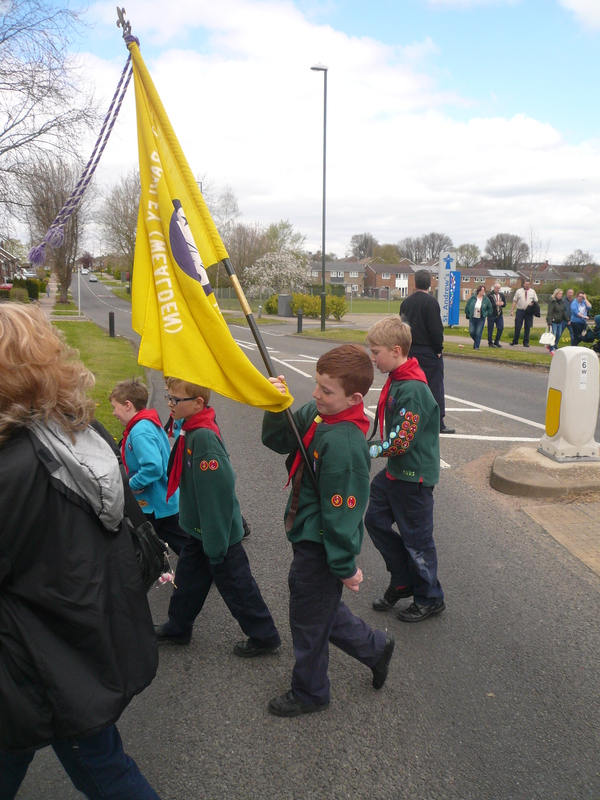 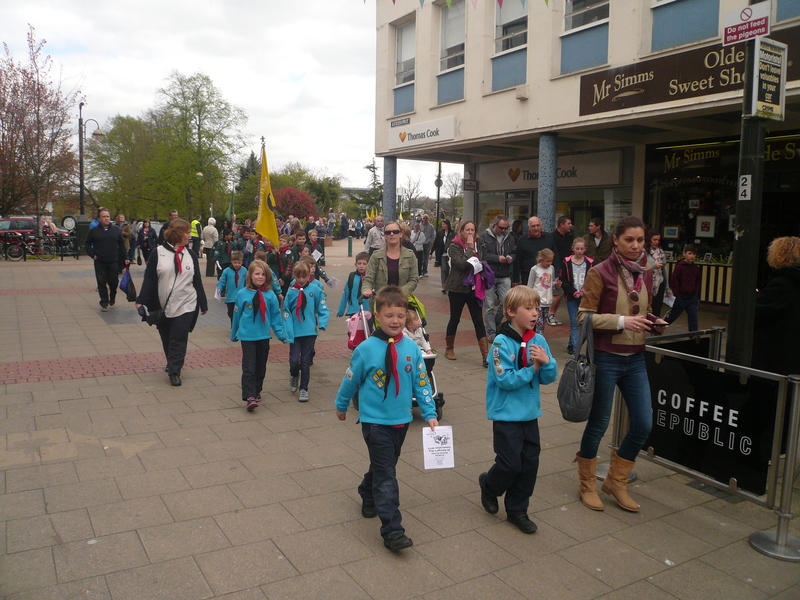 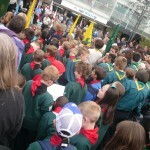 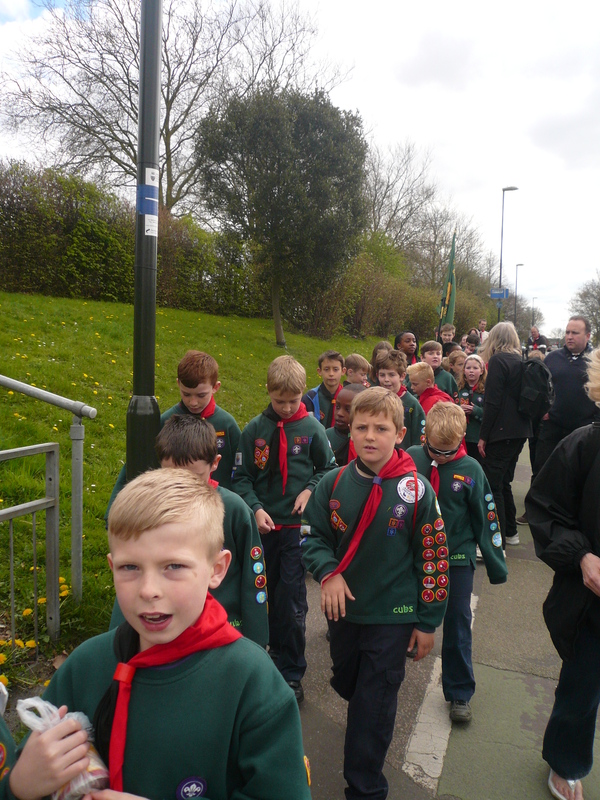 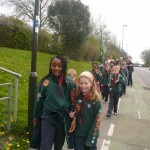 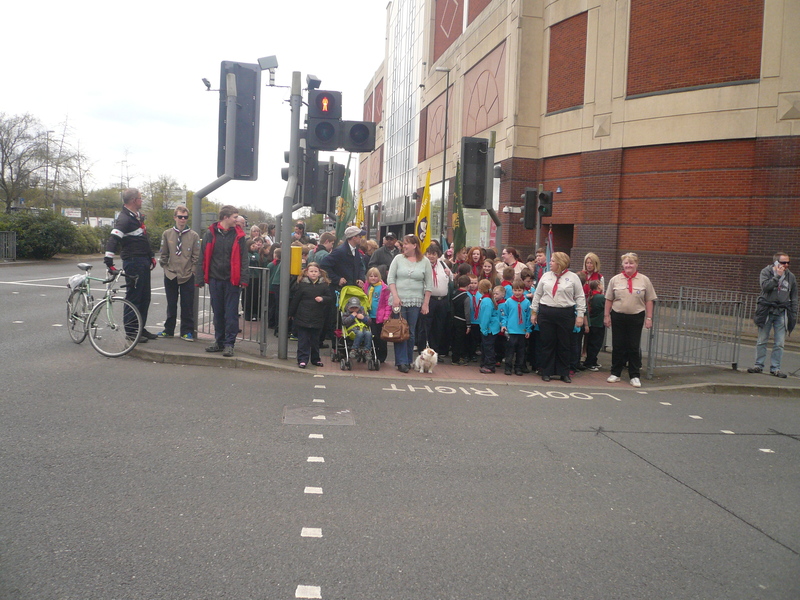 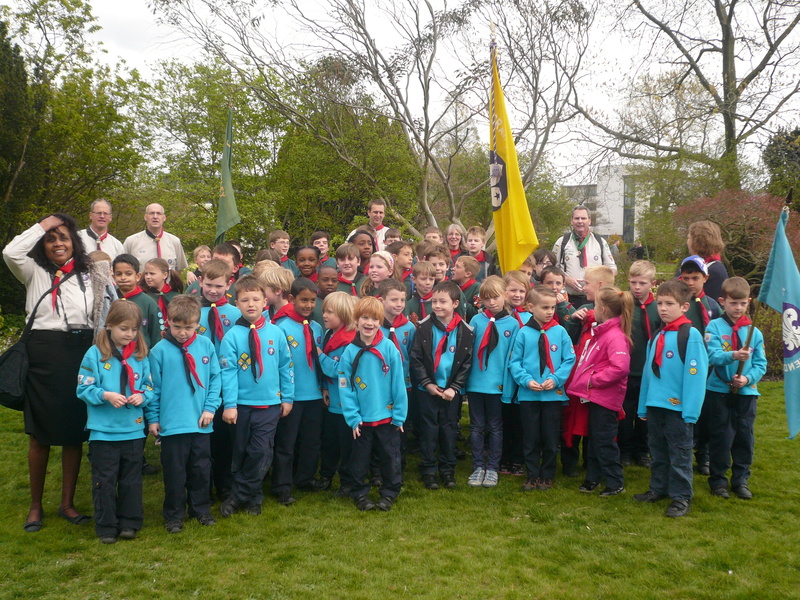 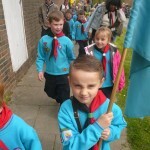 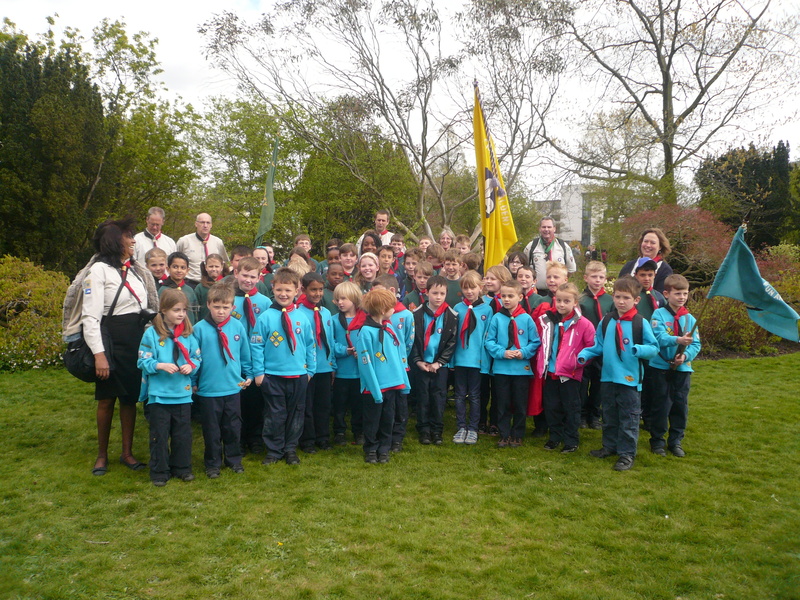 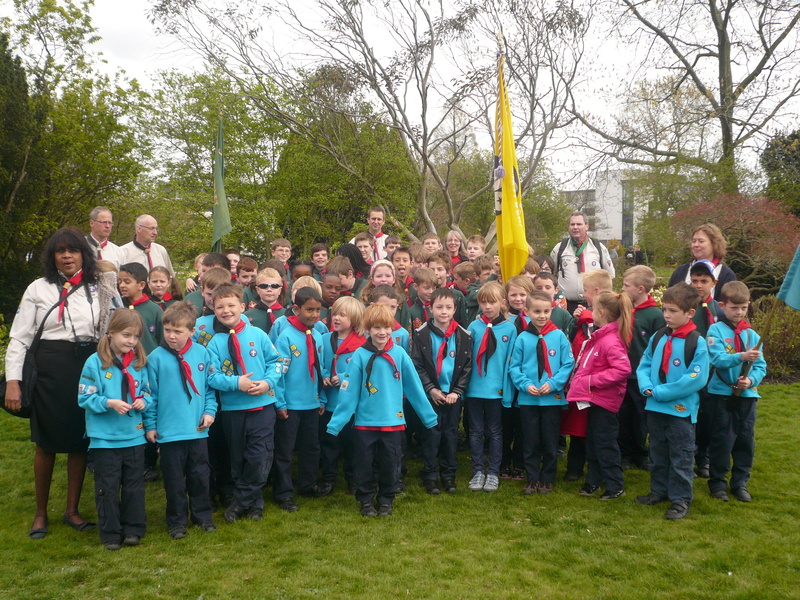 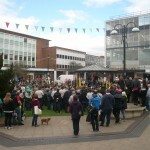 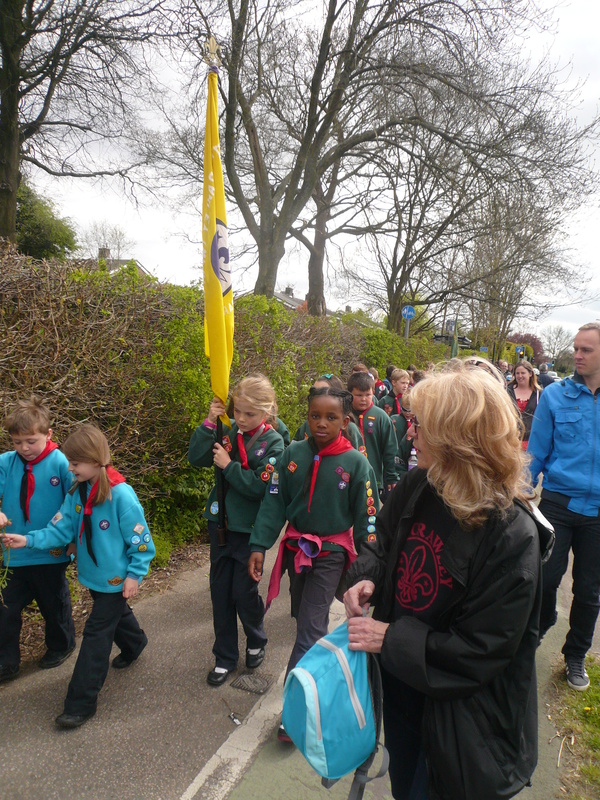 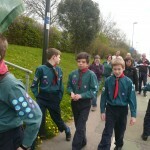 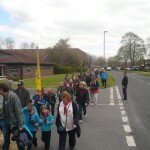 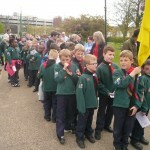 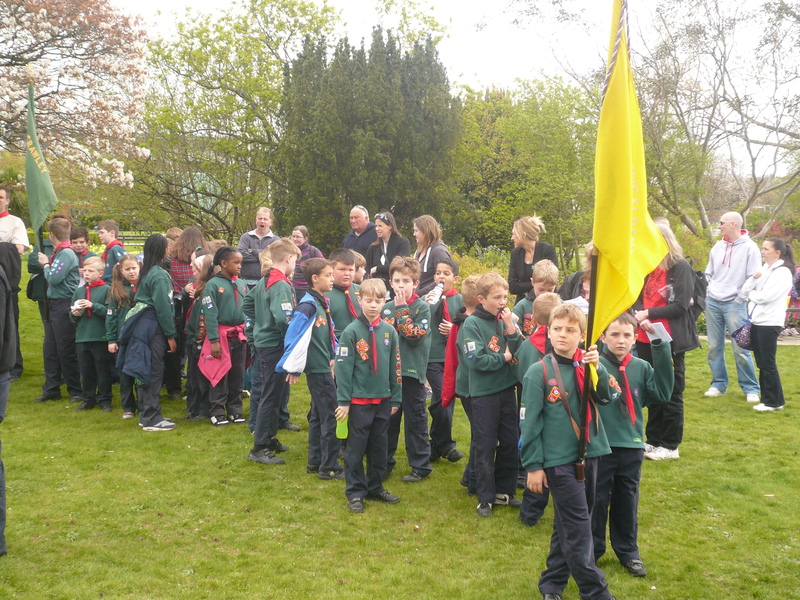 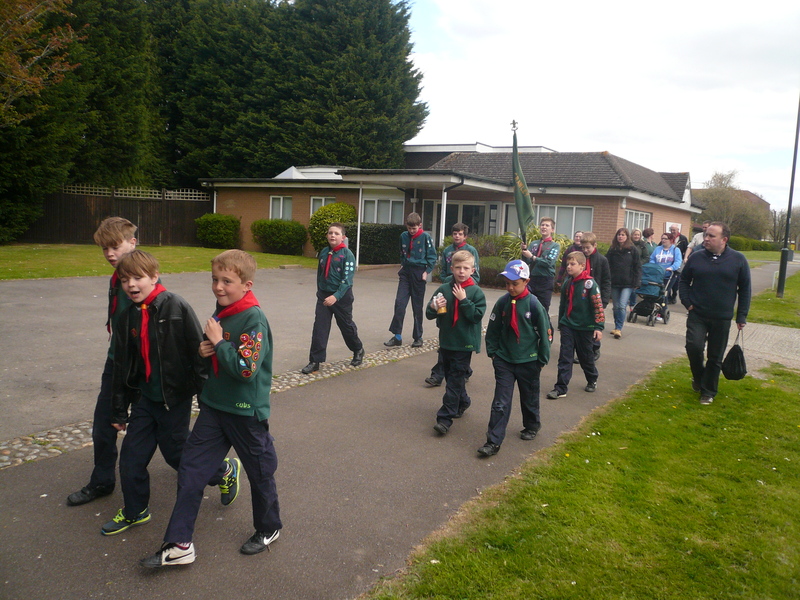 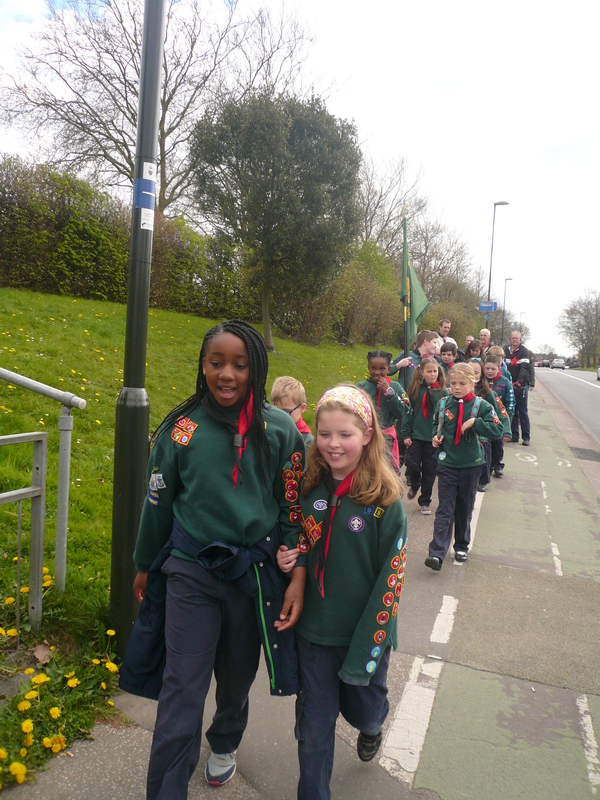 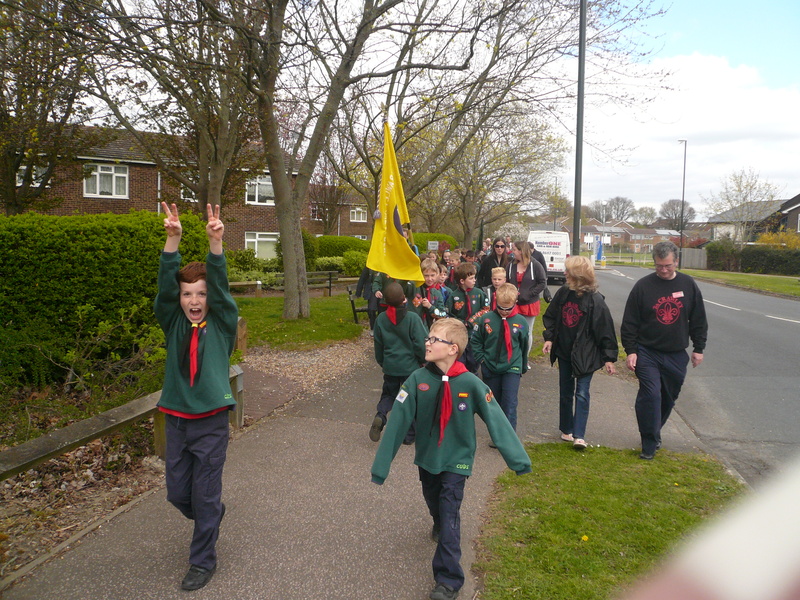 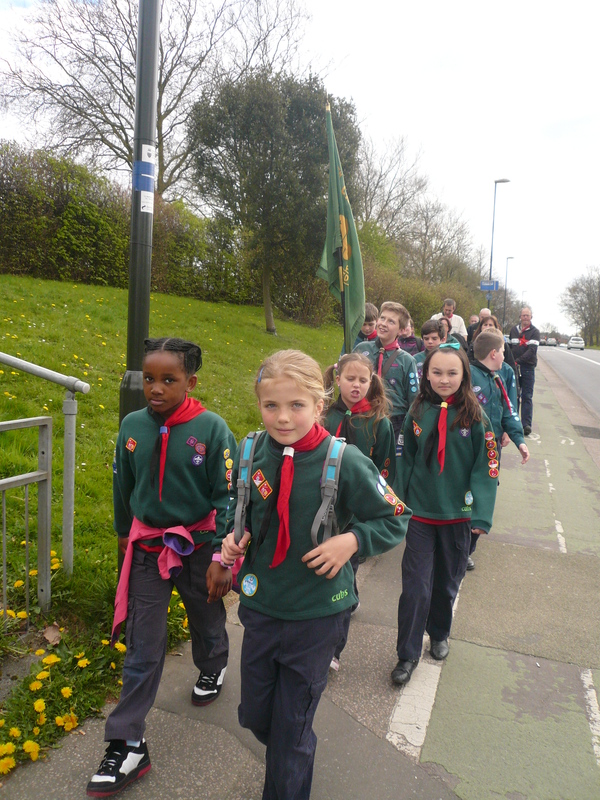 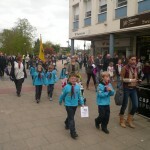 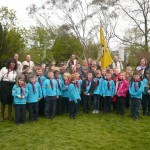 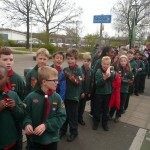 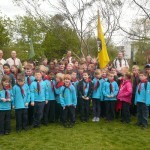 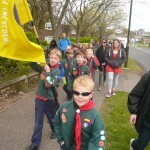 Our Annual St. George’s Day Parade with the Crawley District Scouts. 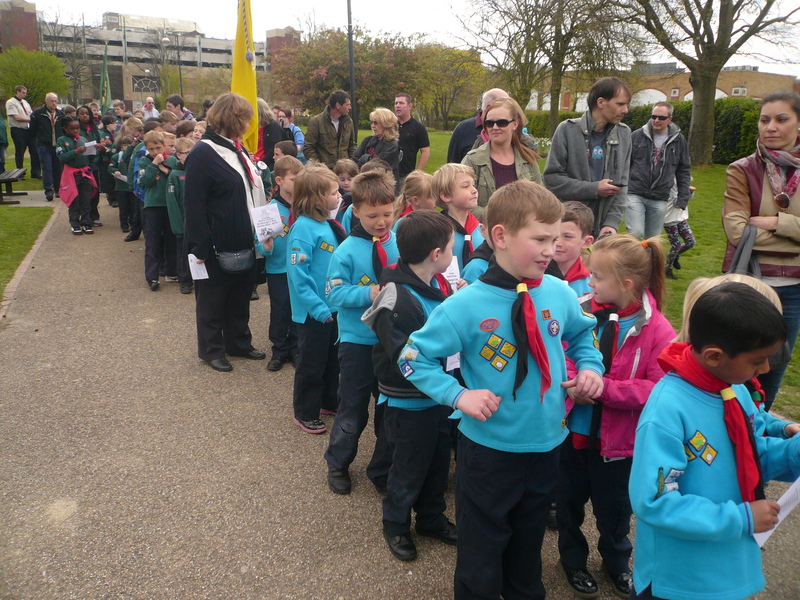 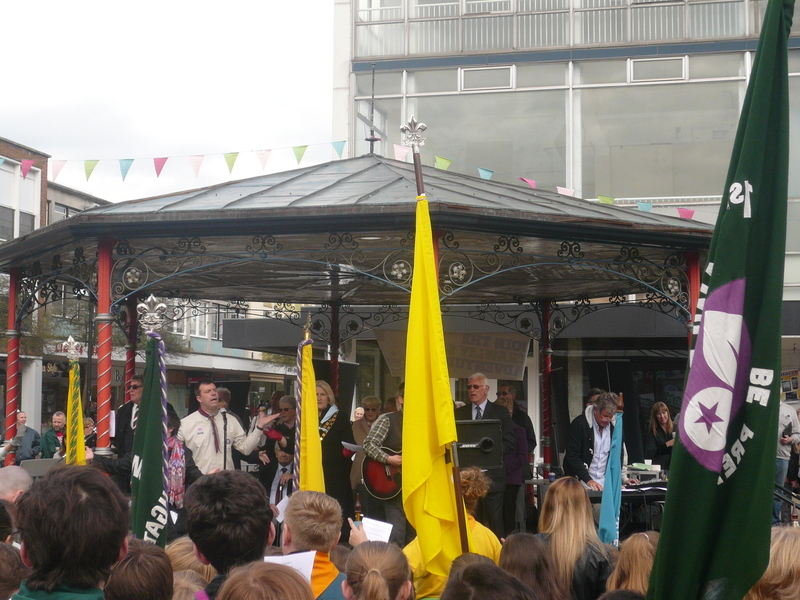 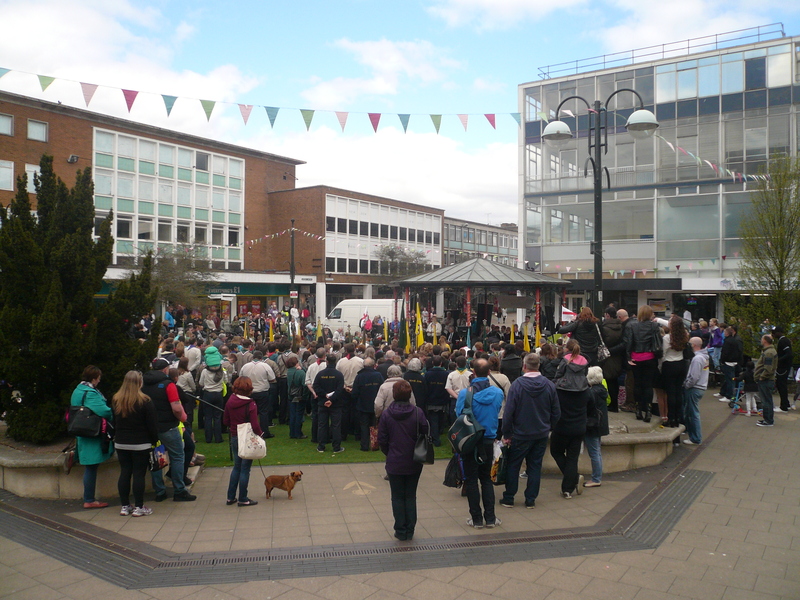 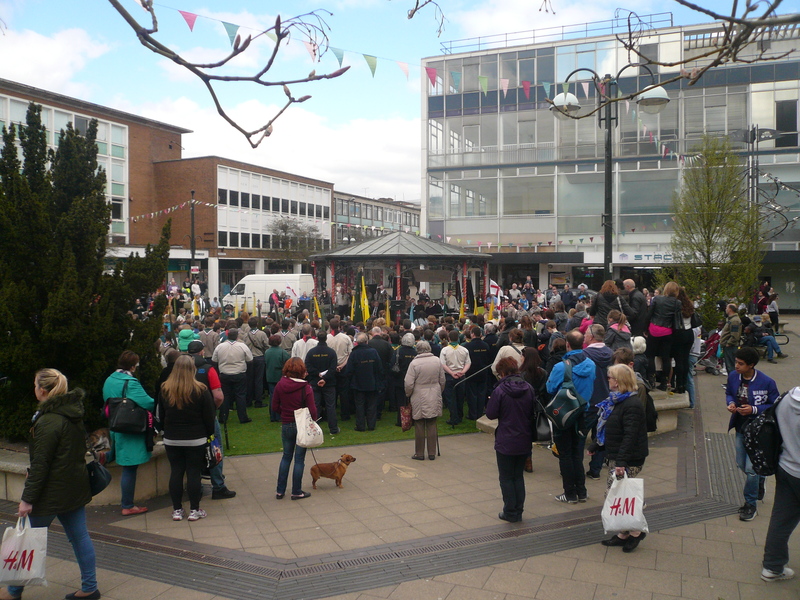 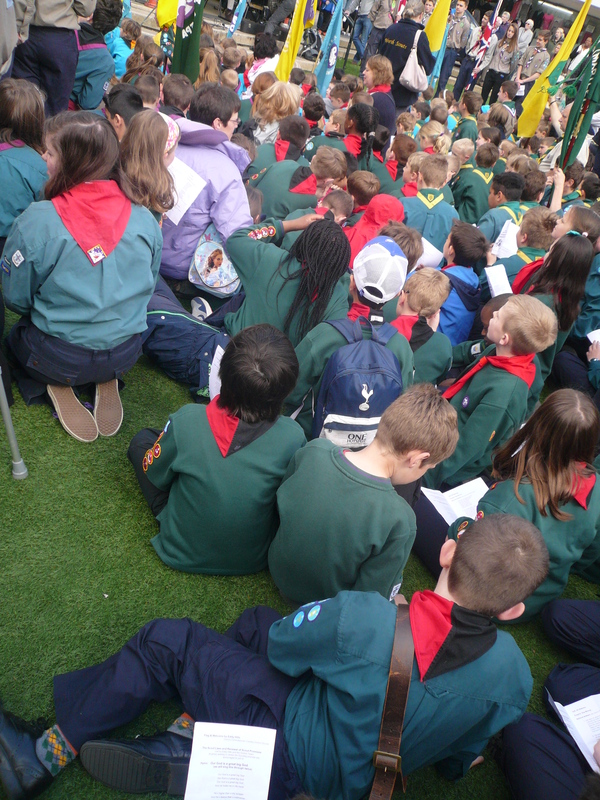 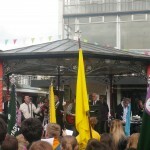 The 12 Groups that make up the District converged on Queens Square this afternoon to celebrate St. George (23rd April) who is not only the Patron Saint of England but also for Scouting (and quite a few other countries as well). 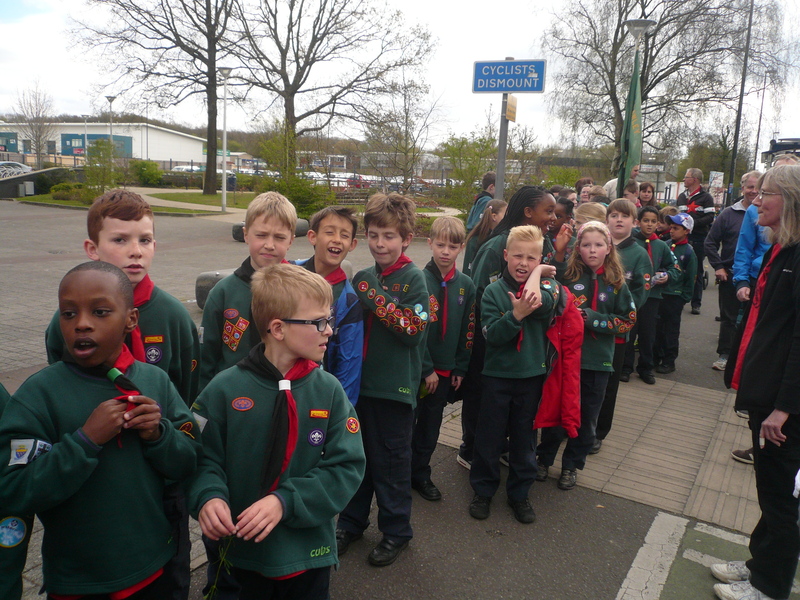 Each Beaver, Cub, Scout, Leader and other current and past members of the Scout Association had the opportunity of renewing their Promise. 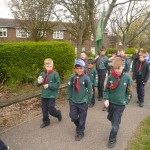 Our Group had its best turn out ever with 16 Beavers, 29 Cubs, 8 Scouts, 10 Leaders and a whole host of parents – My thanks to you all for your support which is very much appreciated.